The iPhone 5S, yes that’s right. With the iPhone 5 just recently being released rumors of an iPhone 5S has emerged, and given Apple’s product after product history this could very well be true. A recent report by Apple Insider has claimed that Apple is currently working on two different iPhone models. One of these will be a successor to the iPhone 5, and the other being a cheaper smart phone solution, with apparently, a nice poly carbonate body. 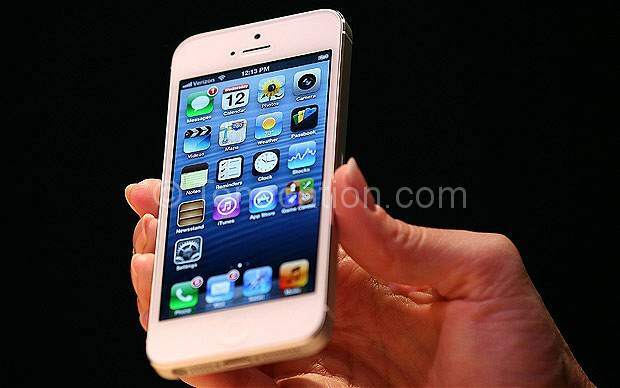 The iPhone 5 successor is rumored to launch in 2014, while the cheaper model will come out sometime soon. This iPhone 5 successor was identified as the iPhone 5S according to MacRumors. The new phone is speculated to have a faster 28-nm A7 chip, a fingerprint sensor, a smart LED flash and enhance camera with F2.0 aperture. The phone is mostly likely going to be in two colors, black and white, just like the current iPhone 5. The cheaper iPhone 5, is rumored to come out at around $400, with a thicker case, and six colors available. It is hard to say, if these rumors are true, if this entire idea will flop. The iPhone 5 came out September of last year, so a new phone already? After dropping a few hundred on the last one, not many will be willing to do it again, just a year after. And the rumors do say another one may come out 2014. If these rumors are true, that is three years of iPhones right in a row. But for now, these are just rumors. Some say the iPhone 5S is coming to soon, while others say it is right on time given Apple’s history. There are also those sketched out at the idea of a finger print scanner. Scared companies could use this to get way to much information out of you. Many also hope that this time, there is something noticeably different about the new iPhone, unlike the 4S to 5 transition, but maybe a scanner is too much?